Blimey...What A To Do This All Is... But Life Has To Go On! 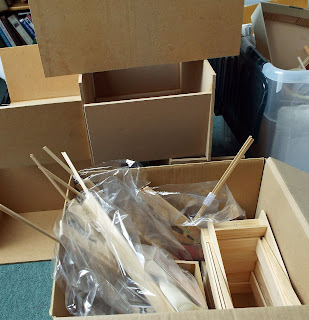 If you have been following KT Miniatures Journal just recently, you will have seen that my workshop colleague Robin has decided to retire completely from the world of professional miniatures, so this coming Saturday will be our very last workshop together. All kits are ready and we have just had our very last "workshop management meeting" this morning. Although Saturday will be tinged with sadness, we are very much looking forward to seeing everyone who have booked to come. Just to reiterate, that I hope very much to continue the workshops in some shape or form once Mr KT's health has (fingers crossed) improved - hopefully by next year this will be so. 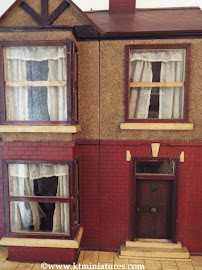 Any future workshops will be run under the banner of KT Miniatures, as the Nostalgia In Miniature Workshops website will be no more by the end of July. 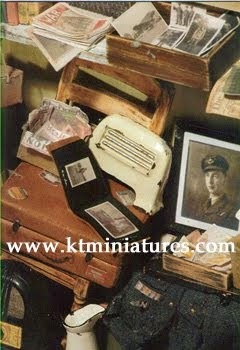 I have managed to create a new patterned wallpaper background for KT Miniatures website, hope you like it. Well you know me and my patterns...I couldn't leave that background plain for long, and once the pattern had been created I then had to learn which buttons to press to transfer it onto the website background. But yay - sucess! Am quite chuffed with the result. 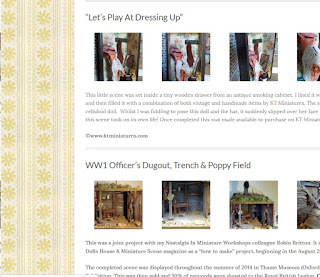 Yes....am pleased to say that very slowly I am getting to grips with the new website and have also got my act together to create a Sold Gallery plus a KT Miniatures Handmade Gallery too. 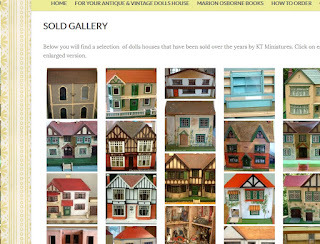 But I'm afraid due to logistical reasons, I simply will not be able to resurrect the Customer Creations or Customer Old Dolls House Gallery from the old website. 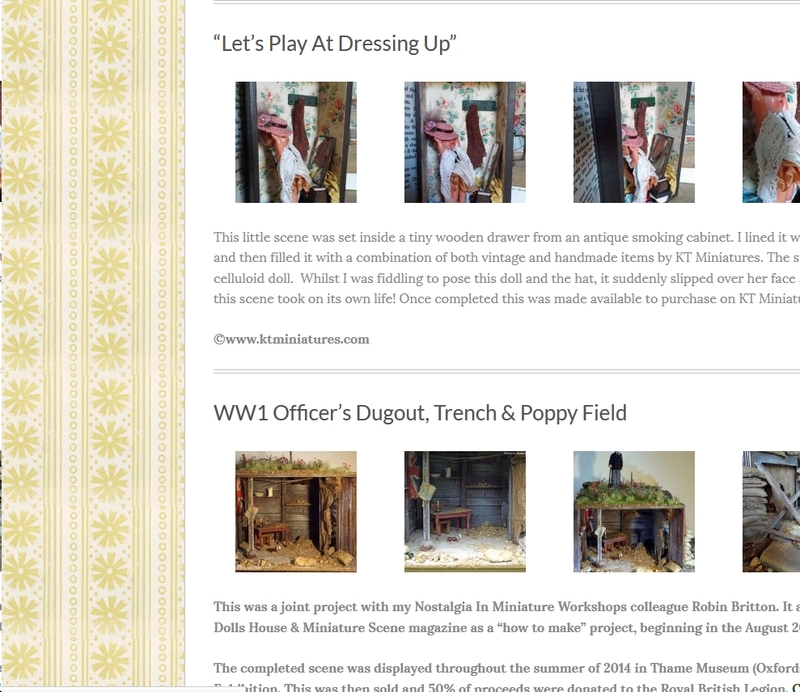 Is a shame I know and I have received one or two emails with regards to this, but if you scour through the archives within this KT Miniatures Journal, you may find one or two interesting snippets from those old galleries on here for your enjoyment. 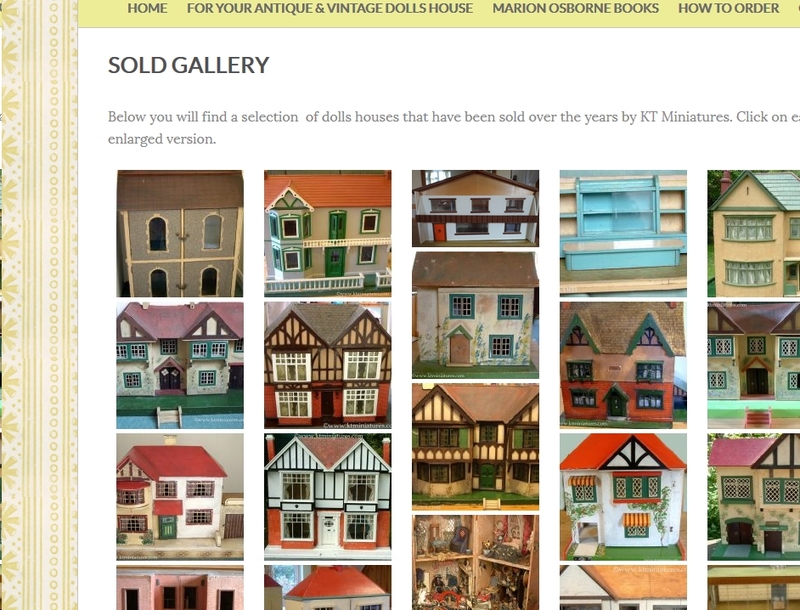 The new Sold Gallery contains images of many of the old dolls houses sold by KT Miniatures over the past few years, which you may find useful. 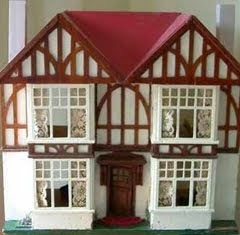 If you click on any of the dolls house photos you have an option of viewing it as an enlarged image and as a slideshow. 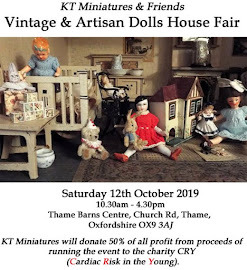 Plus on a different page, there is a KT Miniatures Handmade Gallery, with images and videos of just some of my own favourite miniature scene creations, including one or two made jointly with my workshop colleague Robin. Within time I hope to bring a further gallery page of sold antique and vintage accessories/furniture but for now, I need to concentrate on listing more vintage items to the website, as and when I can in between all the comings and goings at this end.